Der Artikel Grazyna Bacewicz (1909-1969): Werke für Streichorchester wurde in den Warenkorb gelegt. 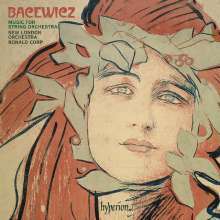 This new disc from the New London Orchestra under Ronald Corp showcases the work of Grazyna Bacewicz (1909–1969), whose centenary is celebrated this year. It contributes greatly to the knowledge of her music outside her native Poland, where she is still an important and well-loved cultural figure, one of those who led to Polish music becoming one of the main contributors to European culture in the second half of the twentieth century. It contains the premiere recordings of both the Sinfonietta and the Symphony for string orchestra. 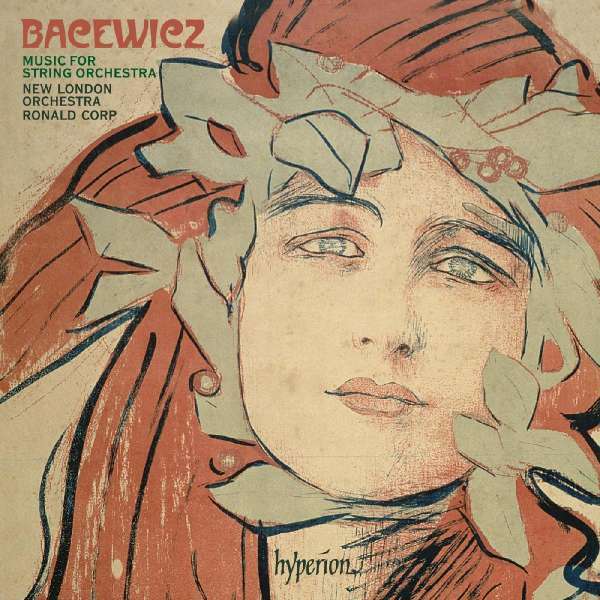 Bacewicz was one of the most significant composers of the mid-twentieth-century, with strong roots in the culture of Paris, where she studied both composition and violin in the early 1930s. Her most striking music is that which draws on her experience of the neoclassicism of inter-war France. She emphasizes neoclassicism’s vitality and clarity while at the same time giving it a combination of delicacy and muscularity which is all her own. While she demonstrates both wit and joie de vivre, her music is never frivolous. FonoForum 02 / 10: "Die Komponistin will mit ihren Werken vor allem Musik machen, aber nicht Botschaften verkünden oder intime Bekenntnisse ablegen. Und diesen frischen, lebendigen Impetus des Musizierens trifft Ronald Corp mit den Streichern des New London Orchestra recht gut. Sie verlebendigen die Musik, so dass sie spontan und sogar draufgängerisch wirkt."